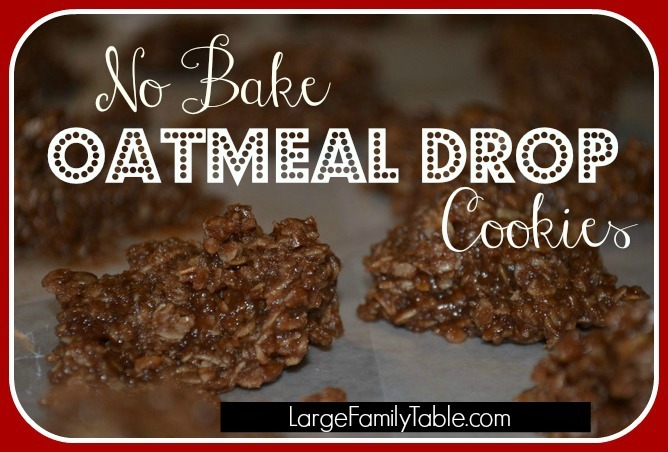 We love these No Bake Oatmeal Drop Cookies because they are quick and easy. They also work great as part of Holiday Baking as Homeschool Curriculum. Of course in our family we make them several dozen at a time. The printable recipe below is for 2 dozen. You can adjust the serving size as needed. These No Bake Oatmeal Drop Cookies are a family favorite. This recipe was given to me by my husband’s family. There are several variations available online. Add Butter, Milk, Sugar and Cocoa into a pot. While stirring, bring to boil and hold boil for 1 min. Add Creamy Peanut Butter and Vanilla to hot mixture in pot. Stir until Peanut Butter is melted. Mix Quick Oats into melted mixture until completely covered. Drop spoonfuls of the mixed cookie mixture onto wax paper. Let sit for approximately 30-minutes to harden. This certainly counted as the hands-on portion of our homeschool day.